So I don’t usually post on Thursdays, but I have a very exciting announcement that I couldn’t wait to share until tomorrow. I am one of 20 bloggers chosen from across Canada to participate in Lancome’s 20 Bloggers for a Rose Virtual Gallery project. Lancôme presents a modern twist on the curation of photographic work by top Canadian beauty, fashion & lifestyle bloggers in a virtual gallery installation that will be presented in June at David Pecaut Square during the Luminato Festival in Toronto. Since 1935, Lancôme’s iconic emblem has always been the rose. Analogous to femininity, the rose embodies colour and light, freshness and sensuality, birth and maturity, innocence and passion, emotion and seduction all in one. To celebrate this majestic flower, Lancôme has asked 20 of Canada’s top beauty, fashion & lifestyle bloggers to share their personal interpretation in the form of a photograph. The result is 20 photos presented in a virtual gallery called 20 Bloggers for a Rose: The Lancôme Virtual Gallery, which can only been seen with a smartphone at David Pecaut Square during the festival. At Lancôme’s installation, festival goers will be invited to download the smartphone app (available for iPhone or Android) that was created in partnership with the Location Based Marketing Association, exclusively for Lancôme Canada to view the gallery. Once downloaded, people will be able to view the gallery virtually mounted in David Pecaut Square on their phone via an augmented reality technology, offering a fun and innovative digital experience. The Virtual Gallery installation will be presented from June 14 to 20 at David Pecaut Square. 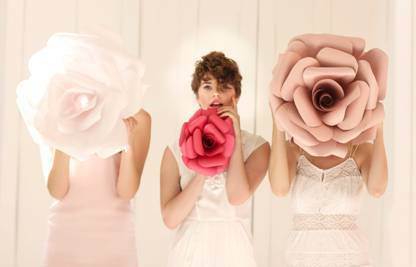 The project is modelled after the “Rôses By…” 20 Artists for a Rose exhibition which is also presented by Lancôme. The exhibition is photographs taken by the world’s most celebrated photographers, including Peter Lindbergh, Patrick Demarchelier, Nick Knight, and more. I am so very excited to have been asked to participate in this amazing opportunity. I believe I am actually the only Winnipeg blogger to have been chosen to participate (from what I can tell everyone else is either from Toronto or Ottawa). I’m not sure at this point which photo Lancome chose for the virtual gallery but I will post an update after the event. I’m also hoping to make it to Toronto to rub shoulders with Lancome spokesperson Daria Werbowy… oh, and to actually check out the exhibit ;).